The Pajaro Valley Water Management Agency (PVWMA) was established in 1984 by the State of California as the agency charged with ground-water management in Pajaro Valley (figs. 1A, B). The PVWMA must deal with issues of both water supply and water quality. Managing water resources for agricultural and municipal users requires maintaining a reliable water supply to meet growing demands while preventing ground-water overdraft and the related degradation of water quality. Important regional water-quality concerns include increased nitrate concentrations and seawater intrusion. To protect the quantity and quality of the ground-water supplies, the PVWMA has implemented a plan to prevent further seawater intrusion. 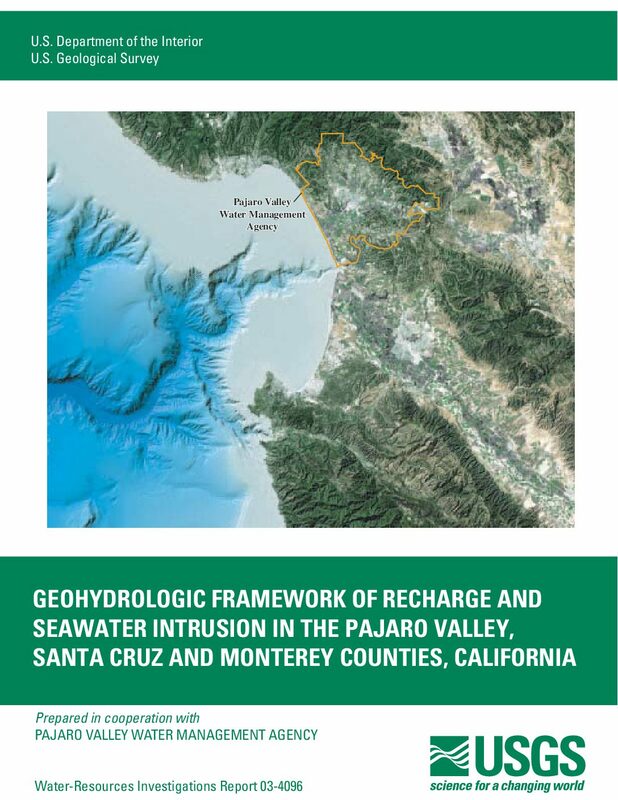 In order to evaluate how these activities can be conducted most effectively, it is necessary to improve the understanding of the hydrogeology and geochemistry of the water resources in the Pajaro Valley.